Wing bolt chain set, for 4 wing bolts Ford. These are the best most accurate kits available today. 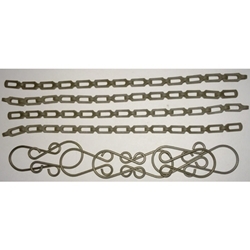 The chain is the narrow profile with square cut ends.